Marie-Therese C. Sulit was born to immigrant parents from the Philippines, and, accordingly, earned her doctoral degree with a specialization in Asian American Studies and Literature from the University of Minnesota, Twin Cities. 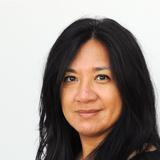 As Associate Professor of English and Director of the Honors Program at Mount Saint Mary College in Newburgh, NY, she explores the historical and current directions of Filipino American Studies and has contributed a number of book chapters on contemporary women writers of the Philippine diaspora. Other research interests include the intersection between academic freedom and the axes of cultural diversity. Marie Therese C Sulit updated their profile information. Marie Therese C Sulit changed their profile image.